The aim of creating a business website, or any website for that matter, is to attract visitors. This influx of traffic on the website has now become closely related with Search Engine Optimization, the art of increasing your website’s visibility on the search engine rankings. 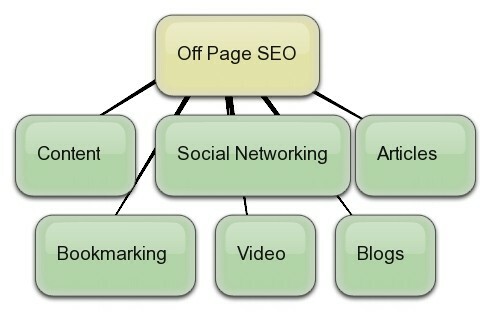 Traffic and SEO are now bound to be mentioned in the same sentence in most cases; figuratively of course! So if you plan to increase the number of visitors to your website, you will need to focus on the many SEO tactics available today. Over the years, SEO has become a major field of focus for webmasters, and has thus been further categorized into numerous sub-divisions. Presently, SEO can e categorized into two major divisions: On-page SEO, and off-page. High-quality and relevant content – the most critical part! The list can keep going on and on, but these are the ones you would do well to start with, as far as On-page SEO goes. Search engines determine the significance and relevance of each webpage regarding user search queries, in two major ways. Firstly, the web crawlers go through a website and determine its importance and effectiveness based on aforementioned On-page factors. Then, they track how the rest of the internet perceives that website; the cultivation of this part, with respect to the website, is done through Off-page SEO tactics. Let’s take a look at the bare bones checklist, shall we! Once again, the checklist is not by any stretch the most comprehensive one, but will enable you to get started on focusing on the most critical Off-page SEO factors. Most, if not all, of the above methods focus on building links; this directly contributes in the relevance of your site on the World Wide Web from the search engine’s perspective. Many people, who are new to the world of SEO, tend to jump into the shadier side of SEO, using tactics like keyword stuffing and hiding inbound links within the webpage, or using link farms. These tactics never help in the long-run, often instead resulting in your website getting blacklisted. Avoid SEO spam! We are a web design and SEO company based in Norway, Oslo. We perform everything from logo drawing and website design to advanced SEO.